As I mentioned in last week's post, I'll be posting about Pantone's colors for fall 2016 for one day a week in September. Last week I shared my picks in the colors Riverside and Airy Blue, and today I'm doing the same with Sharksin and Aurora Red. 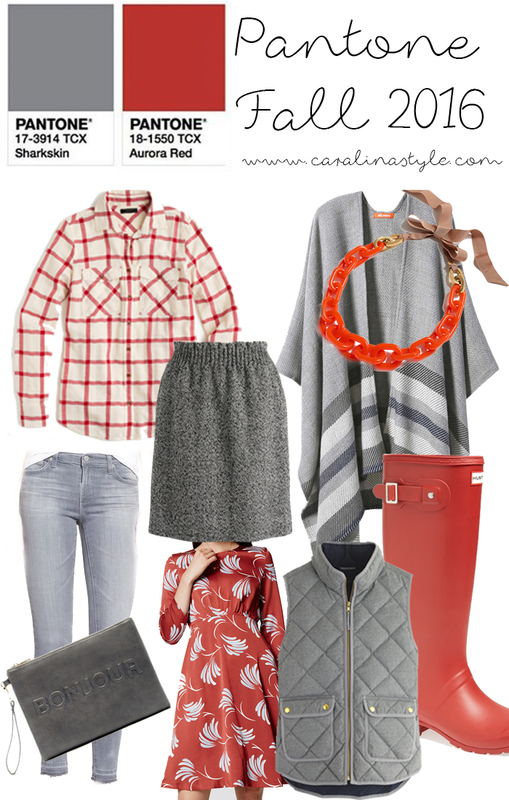 I think Sharkskin is just another way to say gray, but I really like this Aurora Red color. It's a little muted, but would still add a lot of color to any outfit!